The Harmonizer helps design nice, visually consistent curves while it retains the shape as far as possible. 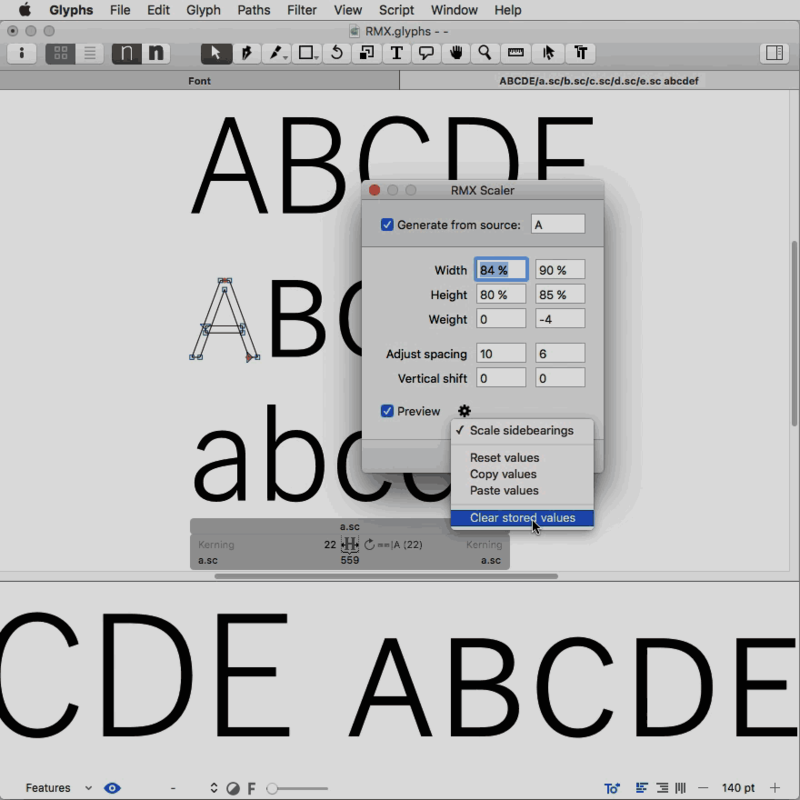 Run this tool in the Font Window to scale the selected glyphs. 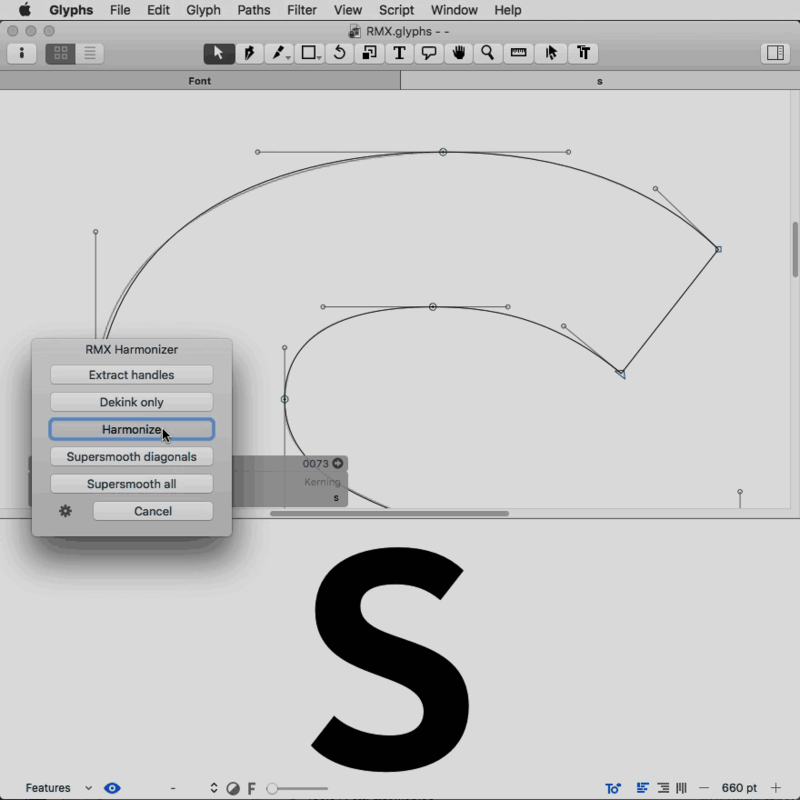 Used in the Glyph Window, the Scaler allows to precisely adjust all masters of the current glyph. 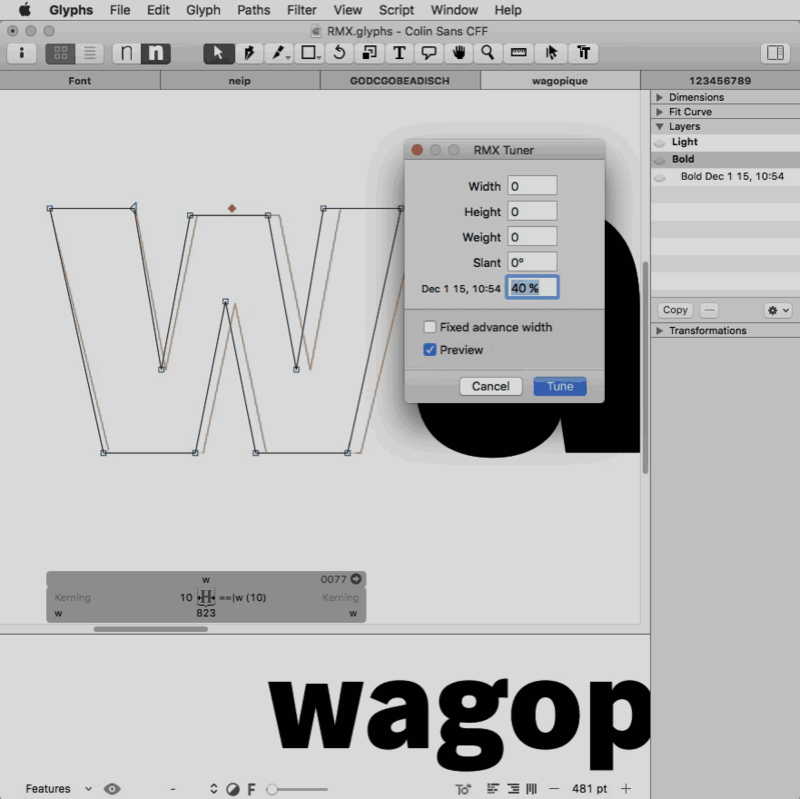 Use this tool in the Glyph Window to quickly adjust the current glyph. 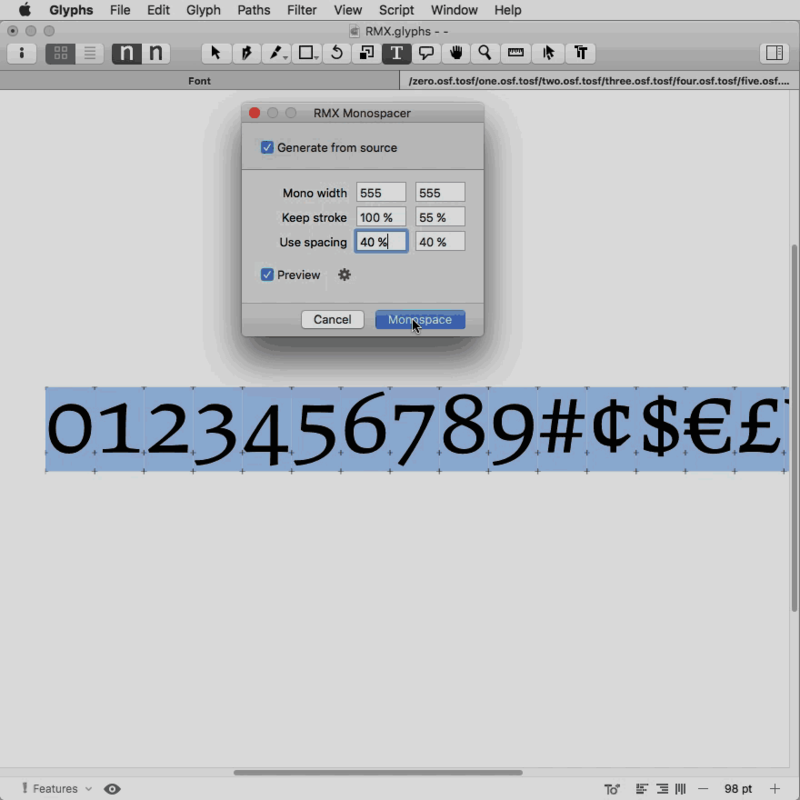 After selecting a number of glyphs in the Font Window, use this tool to create a monospaced version. It is recommended particularly for automatic generation of tabular figures and symbols.